It was 1971 and the sixties were over. After sleeping my way through the Rolling Stones I finally tied the knot with Mick Jagger and we gave it a good try. The sixties were hard on everyone, but I swear if I ever had to sing “As tears go by” again or even so much as see a bird let alone have to sing my dreary pop hit “little bird” I was going to lose my mind. If the truth be told, I’d been living with Brian in Los Angeles doing bong hits and practicing my bird calls for a few years until Brian died in the pool. Everyone says it was some kind of conspiracy — like Mick was jealous and took out a contract on him, or he owed the hells angels a pile of money and thought he was too huge to have to pay it back, or even that little Charlie thought he deserved a decent shot at some of the song writing and Brian wouldn’t let him anywhere near the microphone — but it’s not true. We’d been up for days sucking on those felt strips soaked in benzedrine that used to come over the counter from the chemist for asthmatics. I was wearing nothing but my Pauline Johnson and Brian was dressed in some poofy purple shoulder pads and we’d been singing “I got you babe” over and over and over with a toy piano and ukelele. It was a fun weekend. I was on the other side of the pool and Brian went into the kitchen to get some more lemonade. On his way back he slipped on the tails of his purple coat and went head first into the water. I laughed and laughed and pounded the keys of the tiny piano, but Brian never came back up out of the water. Naturally Mick showed up about three minutes later and tried to make it with me. He always wanted to ball when he was sad. That wanker could never hold his own. But I could never resist those huge lips of his (even if he did have the longest fingernails I’d ever seen on a man.) 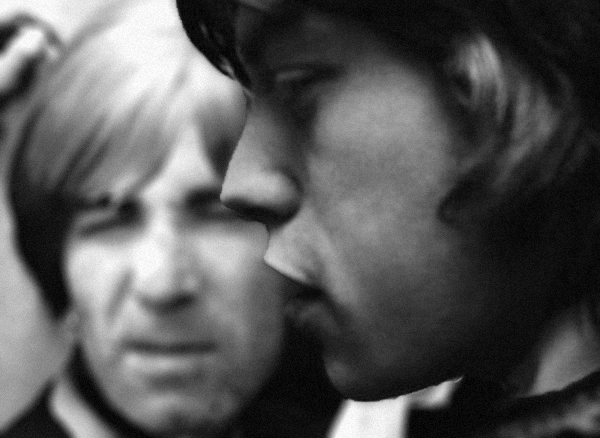 So we tried to make it work, but by the end of 1970 it was over and I was in Paris and Mick was strung out on heroin again. Sunshine Jones has done a couple of re edits of the Rolling Stones over the years. They’re pretty good. I like the ones where he just re-syncopates the songs so he can mix them in, but I think everyone’s favorite is his re edit of Heaven. It’s an unsung gem and the rework really gives it that Italian space fury that the original song was absolutely missing. Anyway, these re edits are going to come out on Whiskey Disco soon. Pre order yours now before they’re all sold out. Pick it up at today!